Some children love reading, some dislike it, and many are in between. Most children (and adults) are drawn to reading material that is engaging and understandable. But, your child will eventually have to read material that is not entertaining or simple to comprehend, so building reading abilities is always a good idea. 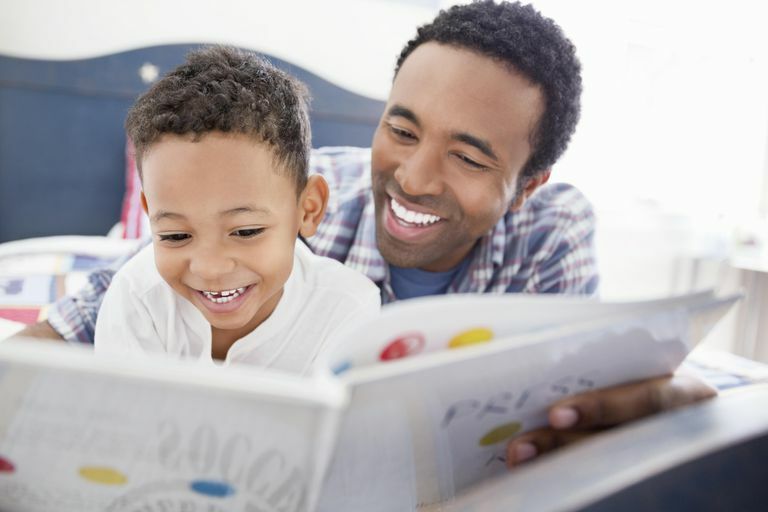 As a parent, you can help your child develop reading skills with enjoyable activities, some of which you might not have thought of as reading enrichment. Compare Books to Film: Have your child read a book and then check out the video version of a book. Talk about the similarities and differences between the two mediums. What did you each like or dislike about each form? Did your child prefer the book or the movie, and why? Participate in Library Reading Programs: Most libraries offer reading programs during school vacations for students. These programs are typically tailored to reading level, themed, or showcase some of the best works for children and young adults. The library staff might host activities based on selected books, or hold special events and field trips designed to help students explore the literature on a deeper level. Librarians are usually happy to help your child and can help find ways to involve all levels of readers within an age group. Explore Different Forms of Reading Material: Check out works in both their book forms and books on tape, CD, or digital recording forms. Many of the highest rated literature for children and young adults is available on tape and in book form. Your child can benefit by reading along in a book while listening to the same book on tape. The cognitive action of seeing and hearing words and phrases together reinforces sight word recognition, improves the practical use of punctuation, and builds familiarity with hard to pronounce words. Encourage Curiosity About Vocabulary: As your child reads books, suggest that you look up difficult or unfamiliar words in the dictionary together. Consider making flashcards of these words and guessing the meanings before finding the definition. This builds the skill of inference, which is thinking through the possible answers based on the context. Strengthen Spelling Skills: If you are making flashcards with difficult words, have your child practice spelling the words out loud or on paper. Give your child the opportunity to double check spelling and find mistakes independently. This is a great strategy to use throughout the year. It teaches students to self-correct and also reduces their fear of trying to tackle difficult words. Young students may enjoy using multisensory techniques, such as tracing the words with a finger. Read the old-fashioned way. Take turns reading passages, or allow your child to follow along as you read. Consider using interesting voices that correspond to characters personalities or to the tone of the story. Compare Authors' Books: Have your child read two books by the same author. It is a good idea for you to read them too so you can discuss them. Compare how they are similar and how they are different. Which did you and your child like best? Why? Ask Your Child to Help You: Practical things, such as looking up store hours, simple instructions, or ingredients on a package of food, can give your child a sense of the practicality of reading in small, manageable doses. When you practice reading skills with your child, it is important that you remember to keep your reading activities stress-free. Use mistakes as teachable moments. If your child gets tired of reading, take turns, or take a break. For most elementary aged students, about 15 to 20 minutes of reading at least three days a week is a good place to begin. If your child wants more time, then allow that to happen. If your child becomes frustrated or has difficulty focusing, shorten the duration, and consider a shorter text or a lower reading level. Don't worry about selecting a reading level that is too easy- your child will ask for more challenging material when he or she is ready. Establish a cozy and nurturing environment when reading. A bedtime snuggle or a mid-afternoon read on the porch swing are some ideas. Involve your child in planning your reading sessions, and enjoy your time together as you get ready for school and get ready to read. Sometimes, it is difficult to know exactly what you should be doing at home. Your child may have trouble with basic reading skills, or with reading comprehension and may benefit from specially designed instruction. For example, a reading disorder such as dyslexia requires a different at-home approach than hyperlexia. Gunderson EA, Sorhagen NS, Gripshover SJ, Dweck CS, Goldin-Meadow S, Levine SC, Parent praise to toddlers predicts fourth grade academic achievement via children's incremental mindsets. Dev Psychol. 2018 Mar;54(3):397-409. doi: 10.1037/dev0000444. Epub 2017 Nov 27.